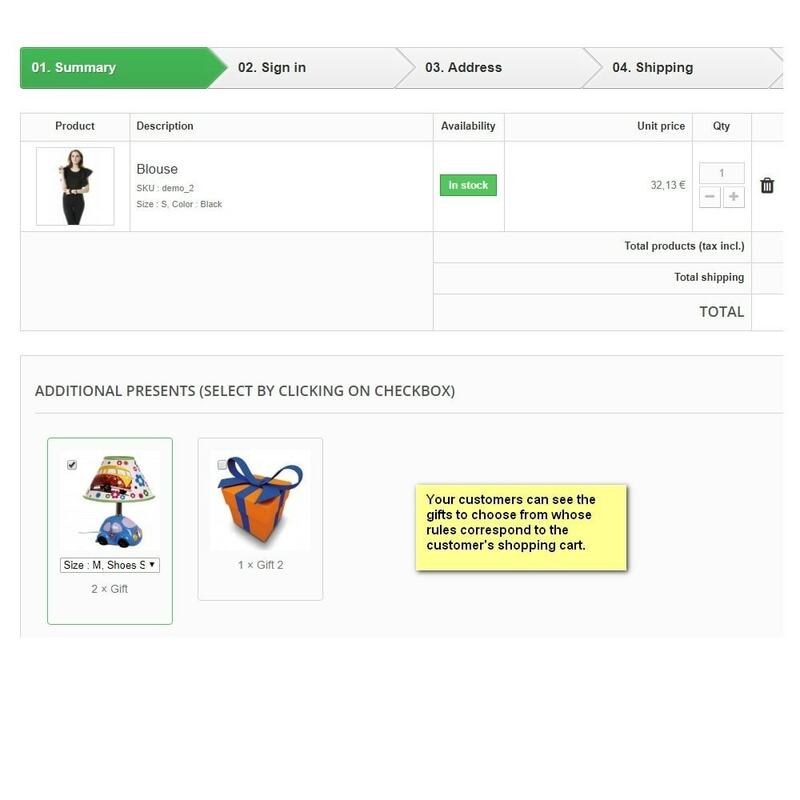 Increase the conversion rate of your store! 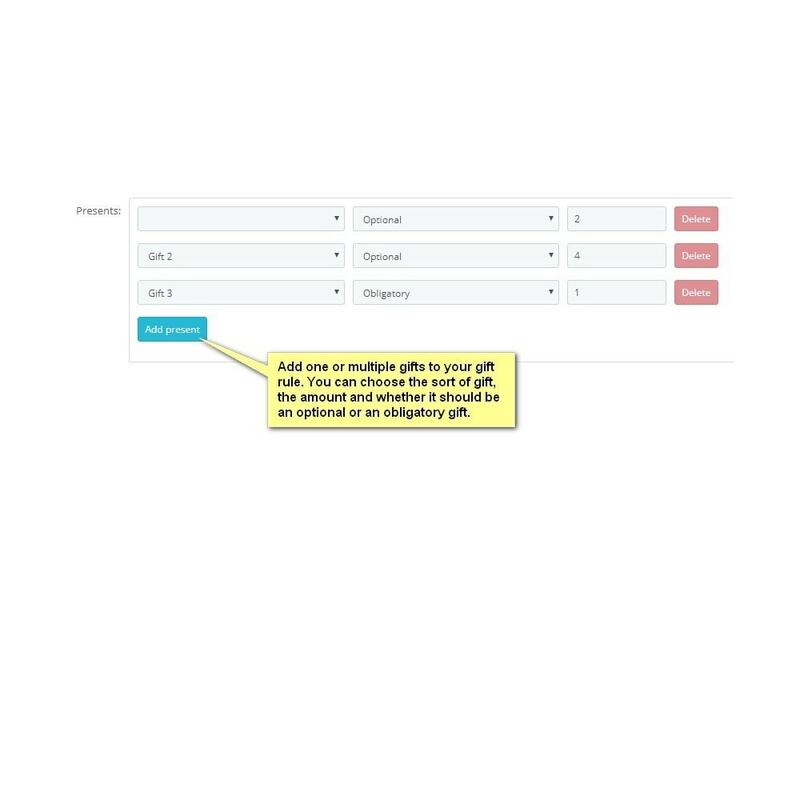 With this module, you can define free products that will automatically be added to the client's order. 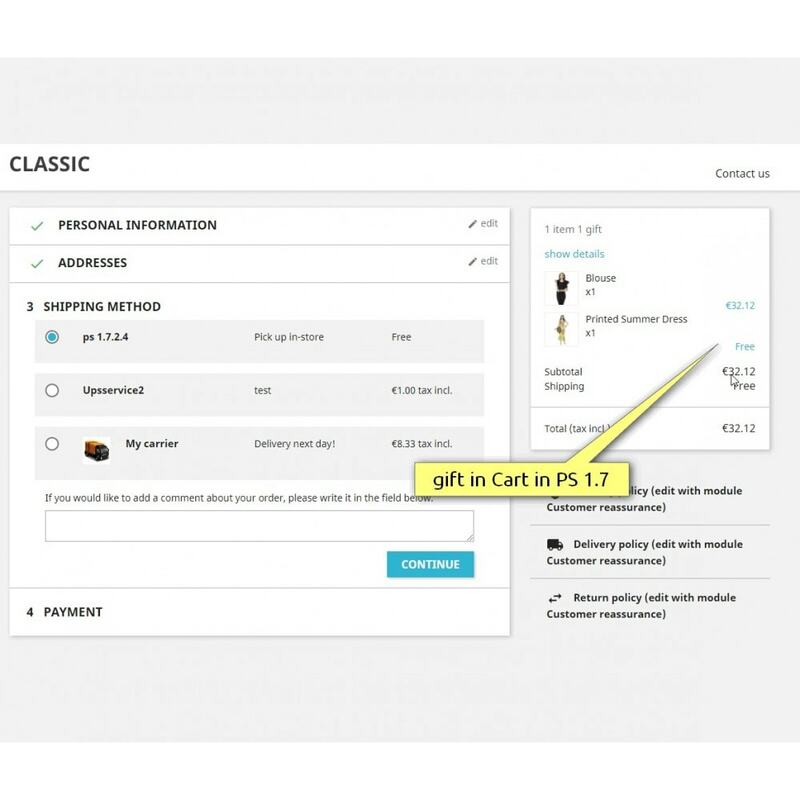 After the module is installed a new hidden category is added to your store. 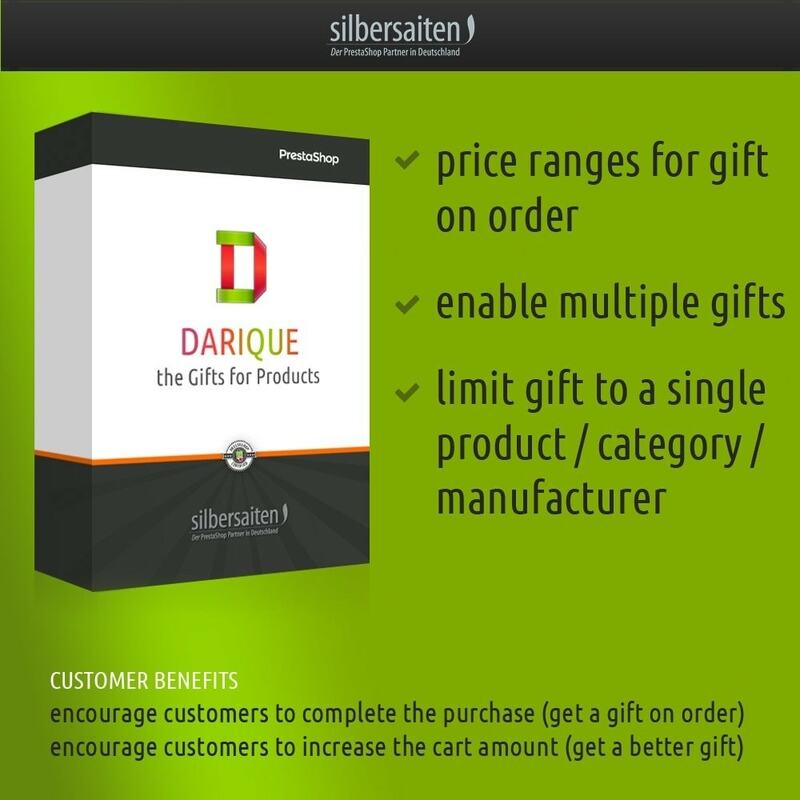 You can add products from other categories, or define new presents specially for this one. 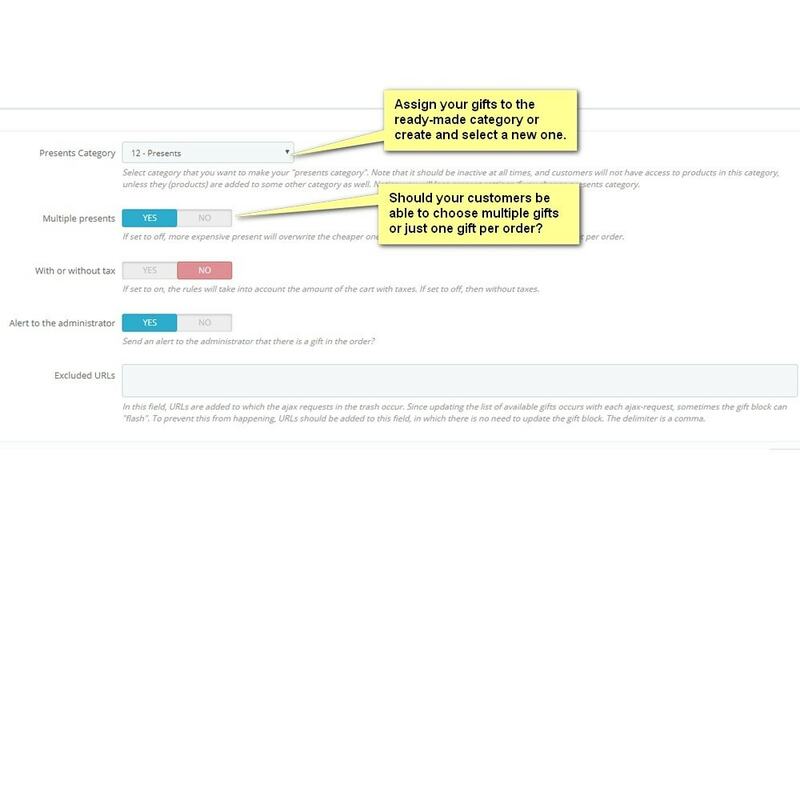 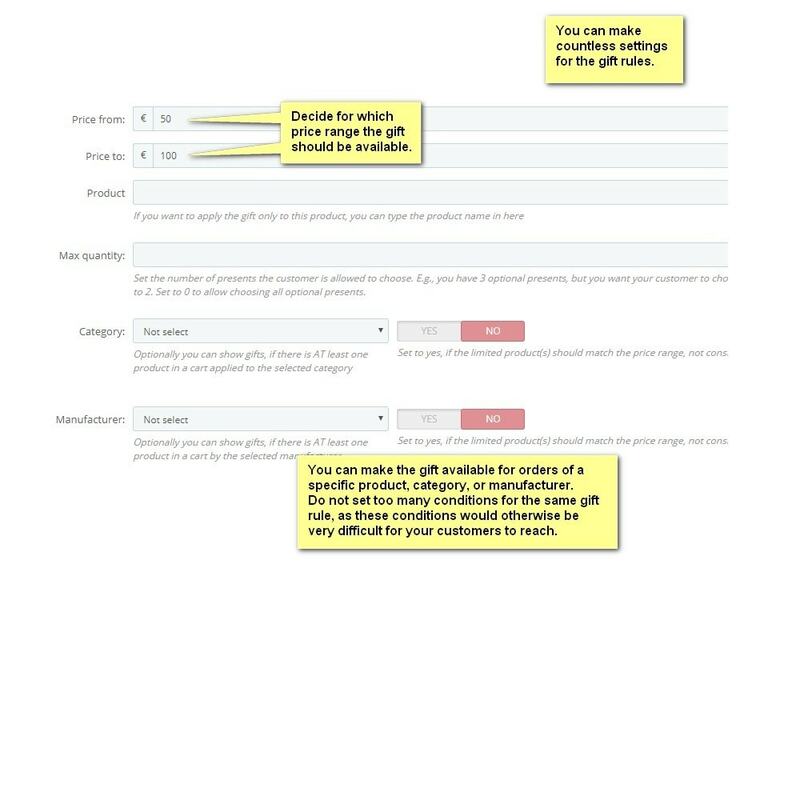 Further, you can define the price ranges for your gifts and use the option for multiple presents. 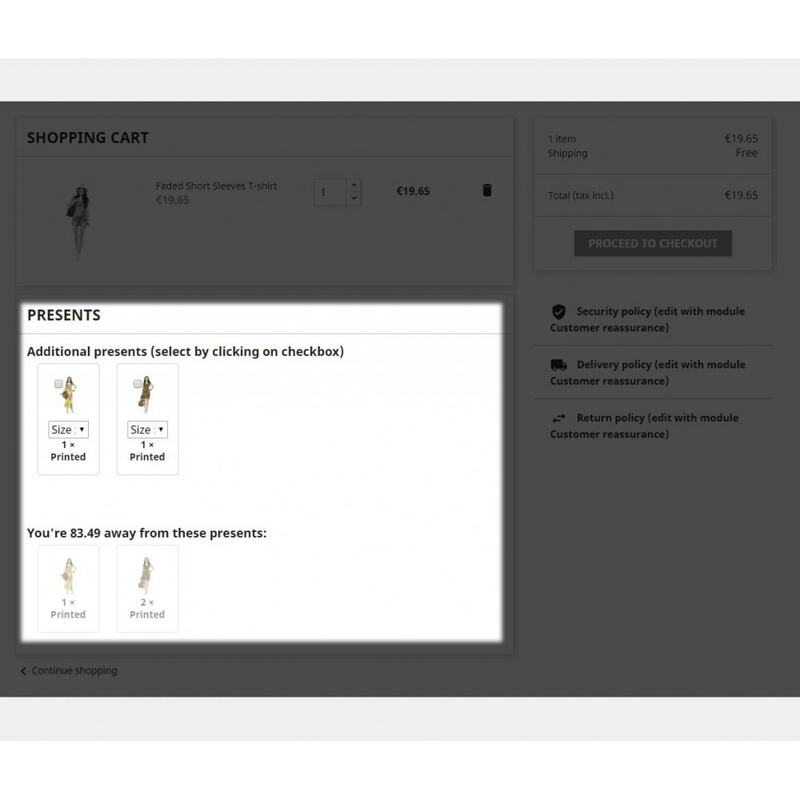 Than, multiple presents can be added to your cart, depending on the order value. 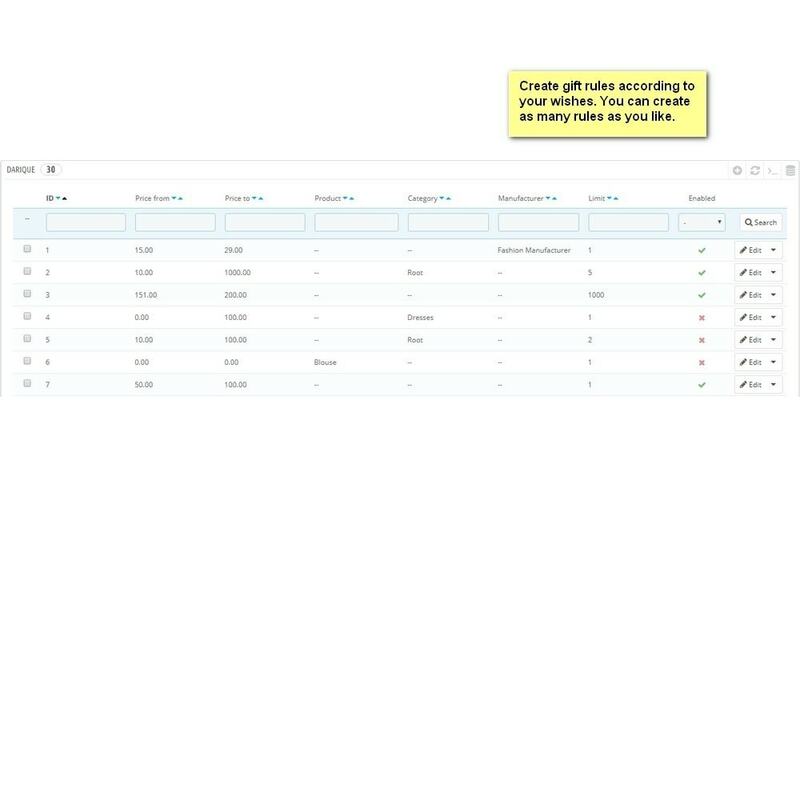 Gifts are a part of the order and can be viewed in the order history.